Through this reading, we will go over your basic natal chart including the big three: Sun, Moon, Ascendant, major planetary energies and re-occurring themes in the chart. We can talk about anything you would like to know about yourself. You are free to inquire about your career, love, partnerships, spiritual purpose, and practically anything else. I will mainly be pointing out your strengths and weaknesses of the chart as well as which areas in your life are shown to be more at ease with luck and are shown to be more difficult. I will help guide you through your major questions, themes, concerns you're dealing with in your life and leave with offering insights for possible remedies. 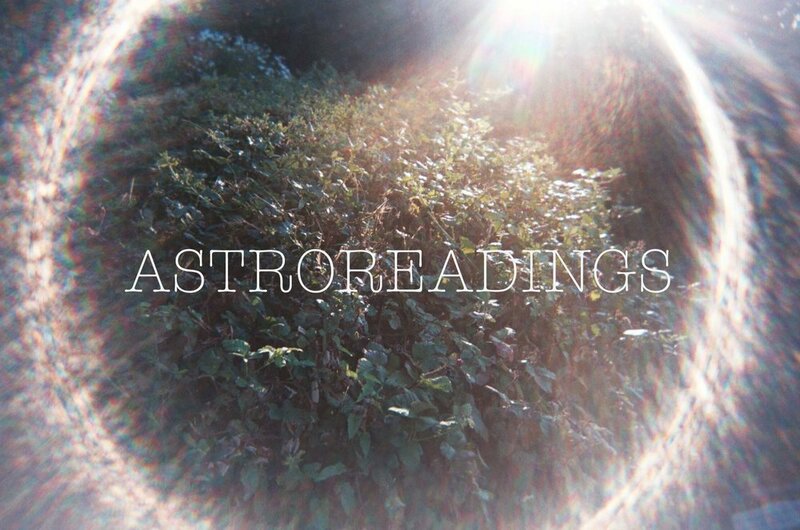 These readings are shorter, designed to give you a quick look into how the planets are affecting your life at this current moment, transition, or past experience and help bring some guidance and light to it. We will briefly look at your basic natal chart, and then delve into your transiting chart. If you have gone through or are currently going through a major life event or change and are needing more clarity on that time, then this reading can help bring clarity and understanding to what contributes to these changes and how to best ease and handle these transitions. **These are recommended as an aid to the Full-Length Reading as they are best used as continued sessions where we can delve even deeper into your chart through separate, shorter and more condensed sessions. This means we may focus on a specific theme in your chart playing out in your life or taking a look ahead into what future transits will bring into your life. These readings are designed to give you a better understanding of your relationship to your significant other. You have the opportunity to ask about anything you would like to concerning your partner and the relationship. I look at a list of key factors for strengths and weaknesses within the relationship to show you the stability of your partnership or offer warnings if the relationship may be detrimental to your own psychological health. I can see if you and your partner are truly being fulfilled within the relationship and having both your needs met. I will take a look into seeing if there is a long term potential of your relationship. We will combine your natal chart and your partner's chart by looking at the Composite Chart and compare charts by looking at the Synastry Charts to take a closer look in seeing the connections and tensions that are present to give more understanding and clarity into your relationship. **This reading can be met with one or both partners (works best + preferred with one partner). Please email me separately for relationship readings. The astrology practice has a therapeutic-based focus that is welcoming to all ages, religions, races, genders, and sexualities. My practice is a grounded and centered approach that provides a safe space for you to re-affirm and connect to your own intrinsic nature. Astrology readings are mainly individually-tailored to your own intentions and/or interests of the meeting. You can expect a back and forth dialogue throughout the reading, which is why it is important for you to engage in the reading in order for you to get the most out of it. All readings are available in person, phone or Skype. All readings have at least a 2 hour prep time. A printed birth chart will be available for you to take home after the session. The readings are available for trade that can include an exchange of other healing/art services or products. Please contact me to inquire about sliding scale options (if you are low-income). Astrology is the cosmological study of the planetary motions in the sky as witnessed by humans on Earth. It is the oldest art-science practice that is embedded with ancient spiritual wisdom, which can provide a framework to those deep questions we ask ourselves in our lives. Astrology can help us unlock unconscious tendencies and perceptions we have by bringing awareness, understanding, and acceptance. Through this process, we align with our own innate nature. Astrology can be radically affirming to our unique individual selves and can also give us compassion by connecting ourselves to human consciousness and the universe. The practice of astrology has had many rises and falls throughout time and is now finding its spotlight of its importance today as more and more people are seeing it as an incredible tool for individual and collective awareness. Ultimately, it holds the power to heal us on a deep psychological level as well as ease painful transitions, unveil our past lives, and discover our soul's desire and purpose in this life. At the beginning of the session, we will review your intentions for the reading while you have the opportunity to ask anything you would like to whether it is about spiritual purpose, career, love, partnerships, or almost anything else throughout the reading. Readings usually begin with an intention to set the tone and then intuitively flows through a balance of listening and sharing between the client and the astrologer. We go over your major planetary energies, delve into some main themes popping out of the chart, and we have the opportunity to look at current planetary themes influencing your life. I am purely a guide, not a predictor as my interpretations are mere suggestions and you ultimately hold the knowledge to your chart. I won't know everything, so it is important that you share your thoughts and feelings (as much as you feel comfortable) as the reading is about you! Nearing at the end of the reading, I may offer gentle "astrological remedies" for coping with any powerful planetary energies in the natal or transiting chart.